Anti Martial Fact Privilege A.R.S. § 13-4062(1) and its application to DUI. Defendant charged with three counts of DUI and one count of criminal damage which is alleged to have occurred as result of the defendant driving under the influence. Defendant's husband is purported to have called the police informing them that he was concerned because his wife had been drinking and he thought she might attempt to drive. The City of Phoenix alleged that the defendant's husband parked one of the couple's vehicles behind their van to prevent his wife from driving away in the van, and that, the defendant, undeterred by the car blocking her way, backed the van out, shoving the other car fifteen feet down the driveway. When police arrived, the defendant was not in a vehicle. In order to establish that the defendant had been operating the car while intoxicated, the State intended to call defendant's husband to testify against her. The Defendant invoked the martial privilege under A.R.S. § 13-4062(1) to prevent her husband from testifying against her on the three counts of DUI. 1. A husband for or against his wife without her consent, nor a wife for or against her husband without his consent, as to events occurring during the marriage, nor can either, during the marriage or afterwards, without consent of the other, be examined as to any communication made by one to the other during the marriage. There are exceptions to the privilege. Perhaps the most significant is that the privilege does not apply, in “a criminal action or proceeding for a crime committed by the husband against the wife, or by a wife against the husband.” The scope of this exception which is at issue in this case. In this case, the defendant did not dispute that her husband could testify about the criminal damage claim because he was a co-owner of the car, and the crime therefore, allegedly was committed “against” him. The defendant, however, maintained that the exception to the privilege only applied to the criminal damage charge as her husband was not a victim to the DUI charges. Because her husband's testimony would be admissible against her regarding the criminal damage charges, but not the DUI charges, the defendant moved to sever the criminal damage charge. The State asserted that the exception to the privilege was applicable for the DUI charges as well as the criminal damage charge. The State asserted that the holding in State v. Salazar, 146 Ariz. 547 (App. 1985) supported their position. In Salazar, the court of appeals held that it was not necessary for the other spouse to be an actual victim of the crime for the exception to the martial privilege to apply. In Salazar, even though the spouse was not the statutory victim of the crime. However, the facts of the case were clear that the spouse was nonetheless placed at risk of harm. The court in Salazar held that because the spouse had been placed at risk, the spouse could be considered a victim of a crime for purposes of the exception to the martial privilege statute. In the event the court disagreed with their position, the State also alleged that the exception was applicable under the theory that if the exception applied to one charge, it had to apply to all charges when the charges arise out of the same course of conduct. In yet another theory, the City asserted that Arizona's Victims' Bill of Rights, Ariz. Const. art. 2, § 2.1, and its statutory counterpart, A.R.S. §§ 13-4401 to 13-4442, (collectively, the “VBR”) made the defendant's husband a “victim” of the DUI. The State's argument was based upon Romley v. Superior Court, 184 Ariz. 409, 411 (App. 1995), a DUI case where the accused struck another person's car while driving under the influence. The court in Romley held that for purposes of the victim's rights law, a criminal offense had been committed against the owner of the vehicle damaged in the accident. The ruling was based upon the definition of “criminal offense” under the victim's bill of rights. The definition included misdemeanor offenses involving injury, or the threat of physical injury. Finally, the City next argued that even if the anti-marital fact privilege does not apply to the DUI charges, the superior court erred in granting Craig's motion to sever. "Here, unlike in Salazar, there is no allegation that the DUI posed any physical threat to Craig's husband. And although the defendant in Salazar was also charged with a DUI, the issue of whether the DUI offense fell within the exception to the anti-marital fact privilege was not before the court." The court also rejected the State's assertion that if the privilege applied to one of the charges, it would necessarily apply to all the charges when the charges arise out of the same course of conduct. The court also rejected the State's contention the because defendant's husband would be classified as a victim under the victim's bill of rights under §13-4401(19). In making this assertion, the State pointed to State ex rel. Romley v. Superior Court, 184 Ariz. 409, 411 (App. 1995). the exception had to apply. In Romley, the defendant was charged with Agg DUI after colliding with another car. The driver of the other car was not injured, but nonetheless, had been placed at risk of injury. A.R.S. §13-4401(19) defined a victim of criminal offense as probable cause of an offense involving physical injury or threat of physical injury. The court distinguished the Romley case, nothing that in the instant matter, there was no physical injury, or threat of physical injury to the defendant's spouse. The court further noted that the purpose of the victim's bill of rights and the martial privilege act are distinctly different, and that in as much a “victim” under one, may not meet the requirements for the other. "VBR confers a broad range of rights on crime victims, including “the right to refuse an interview, deposition, or other discovery request by the defendant, the defendant's attorney, or other person acting on behalf of the defendant.” Id. ; Ariz. Const. art. 2 § 2.1(A)(5); A.R.S. § 13-4433. As such, the purpose of the anti-marital fact privilege is fundamentally different from the purpose of the VBR: the purpose of the privilege is to protect the marital relationship, whereas, the purpose of the VBR is to protect the victim." "The City also fails to recognize that, generally speaking, a DUI may be a “victimless” crime for all but VBR purposes. See State v. Olquin, 216 Ariz. 250, 254, ¶ 22 (App. 2007) (observing that a DUI is considered a victimless crime because it can be committed absent involvement of any other person); State v. Sorkhabi, 202 Ariz. 450, 453, ¶ 11 (App. 2002) (a “victimless crime” is “a crime which generally involves only the criminal, and which has no direct victim”); Weston v. State, 49 Ariz. 183, 186 (1937) (noting DUI legislation enacted because “driving an automobile under these circumstances is such a menace to public safety”)." 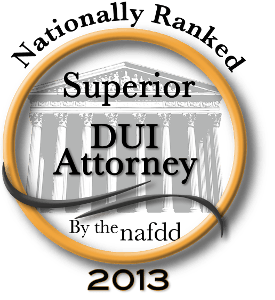 James Charnesky is a Tucson DUI Defense Lawyer. His practice has always been committed to criminal defense. He has NEVER prosecuted, and has ALWAYS fought for the rights of the accused.